The Blues suffered their heaviest away defeat since 1991. Many were expecting Manchester City vs Chelsea game to be one of the most entertaining game of the season. Considering the quality of football played by both the teams the last time they met. However, the results showed the ruthlessness of Manchester City. The result was the heaviest away defeat for Chelsea since 6-0. After the 6-0 defeat, Chelsea defender Antonio was spotted in a heated argument with Chelsea fans. 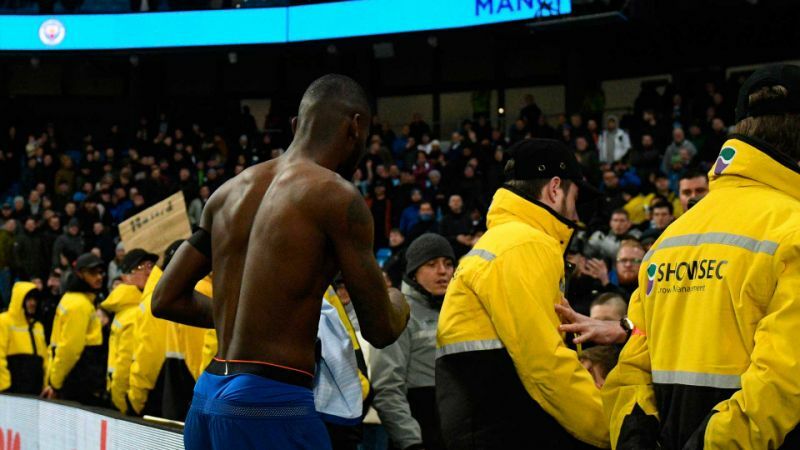 Chelsea defender Antonio Rudiger was involved in a heated confrontation with a fan at the end of the Blues’ humbling defeat to Manchester City on Sunday. Maurizio Sarri’s side lost 6-0 at the Etihad after conceding four times in the opening 25 minutes. It was their worst result since losing 7-0 to Nottingham Forest in 1991. After the full-time whistle was blown, Rudiger was one of few players to front up to the fans, going over to the away support to apologise. However, not every fan was impressed with the gesture. One fan was spotted hurling abuse at Rudiger for his and the team’s – dreadful performance. It was at this point that tempers started to boil over. Football.London reported that Rudiger yelled, “I’ve come over to say sorry, stand in front of me if you‘ve something to say.” The former Roma defender even asked an Etihad steward if he could climb the barrier to speak to the fan face to face. However it never got that far. Rudiger eventually handed his shirt to a delighted young fan. Later he walked back to the tunnel to join the rest of the Chelsea players. The majority of fans applauded him as he left. Sunday’s result means Chelsea have now lost three straight away games. It has resulted in manager Sarri was at a complete loss to explain the disastrous display, with question marks now surrounding his future as the side slipped to sixth in the Premier League. This is not the first time that Rudgier apologized for his team’s performance. Rudiger issued a public apology just a couple of weeks ago when Chelsea’s defence were again ripped to shreds by Bournemouth. However, Rudiger being a professional footballer should understand the reaction of the fans and shouldn’t react. It’s not the defeat that made fans angry, it’s the manner of the defeat that made the fans angry.